My sweet niece and sister have moved away! (cue the chin quiver and teary eyes!) I'm soooooooo sad that they're gone! But I know they're going to love their new place. 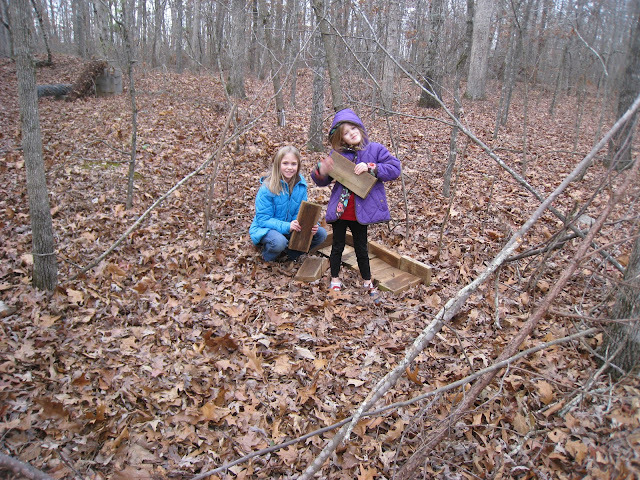 Before they left, Flanna and my niece got to spend a beautiful, if cold, day building a new hut in the woods. They are becoming quite the master craftswomen. 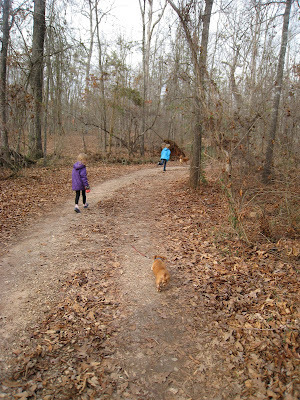 They also took our dog Padme for a long walk, but poor old Padme I think would've rather stayed inside the warm house! I think it boosts my spirits to be outside, even in the freezing cold, and it definitely seems to snap the kiddos out of a funk. So, the next time you're feeling frazzled, and the kids are bickering inside the house, just get yourselves out into nature--you'll be glad you did! check out those fabulous walls--the new hut is pretty beautiful so far. 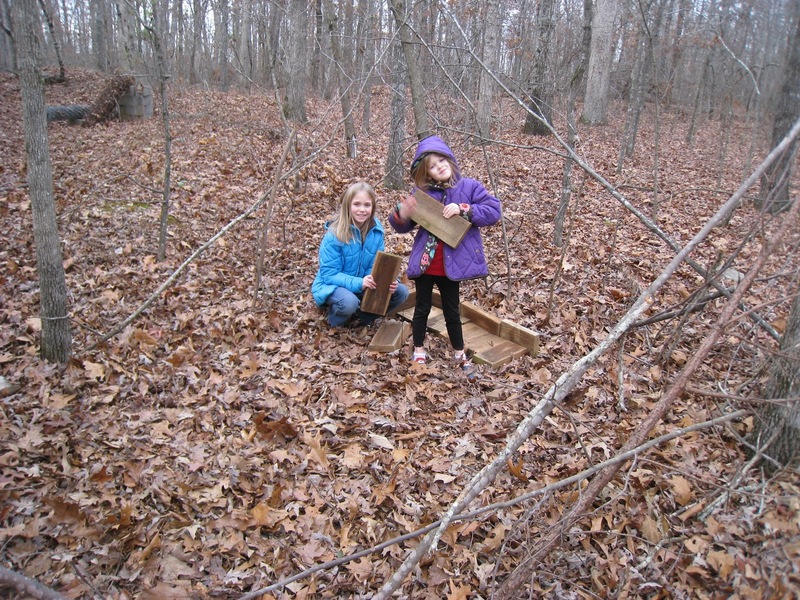 What ways have you found to experience nature despite the cold temps?